Do you want to find good wine values? It comes down to knowing a few tricks. There are lots of good values out there if you know how to find them. We’ve detailed some of the easier ones below. It’s really not rocket science. Find someone who’s opinion you respect and ask their advice. This really is the easiest way to find great wine at great prices. 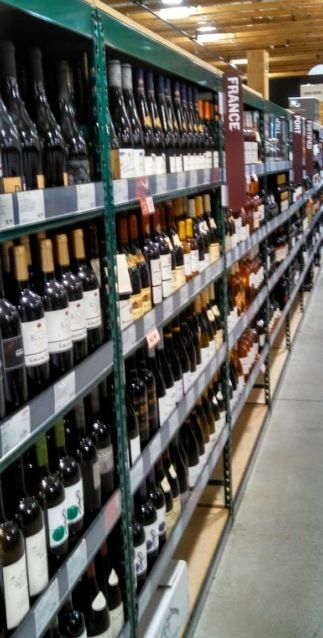 Many higher end liquor stores and specialty stores have dedicated wine buyers. By describing the types of wine that you like, they can quickly recommend several to try. Most are thrilled to help because it gets them out of the dusty back rooms and allows them to talk to someone who wants to know about wine. They’ll eventually learn your tastes and the reward can be some really good wines at very reasonable prices. If you develop a really good relationship, they’ll even call you when a real find comes in so you can stake your claim before it’s set out for the great unwashed masses. Assuming you are shy and don’t want to ask to talk to a wine buyer (I can’t understand that one by the way – I’m about as subtle as a fart in church) then find a store where the local buyer puts recommendations near the wine. You’ll be surprised how many stores have the wine buyers comments. Buy a single bottle of each one that sounds intriguing. If you like any of them, then go back a pick up more. Most wineries offer specials to their members. It usually costs nothing to join a winery’s club and you only need to buy two or three bottles a quarter and they are usually at a discounted price. One of our local wineries has the best deal going. You can barrel taste wines before the wines are released and then buy them by the case for 50% off. For years, we’ve picked up exceptional cases of wine that are normally $30 per bottle for just $15. Of course the down side is that you have to wait for a couple of months to pick them up and then have the patience to set them down for a year or two – great for finding deal – not great if you are into instant gratification. The fun part though is that every few months, you can pop open a bottle and see how the wine is maturing. By the way, I am somewhat dubious of the wine clubs that offer wines from different regions and different wineries. Most of these are in it for the money (they are a business after all) and there is rarely anything really special about the wines that they are pushing. It’s safest to stay with a wine club that has a vested interest in making sure that you enjoy their wines. Usually the more obscure a wine region, the cheaper the wines will be. Don’t let a lack of notoriety bias your opinion. Many of the best wine regions are yet to be discovered by the masses. Remember that the more popular a winery or wine region becomes, the more expensive it is likely to be. I put this one down although with some trepidation. There are lots of people using a “100 point wine rating system” but they are often quite arbitrary. One person’s 93 is another’s 87 and that’s the problem. Even individual wine raters have been fooled and given wine from the same bottle and scored it differently in the same tasting. Of course it is likely that a wine in the 90’s is going to be better than wine rated in the 70’s, it still might not be to your taste and that is the problem with rating scales. By the way, has any one ever seen a wine rated in the 60’s or 70’s? I haven’t although I tend to avoid wine ratings the way that a teenager avoids homework. If all the wines are in the low 80’s to the high 90’s, what’s the point in having a 100 point scale? Another problem (trust me, there are more than just these two) is that most of the 100 point scales embrace the big, bold extracted, in your face wines that were so favored by Robert Parker, the creator of the 100 point system. That’s great if those are the only types of wine you want. However, if you want something a little more subtle, odds are that it won’t rate as highly. There you have it. Five ways to find great wine values. There are many more so we invite our readers to share others in the comments section.